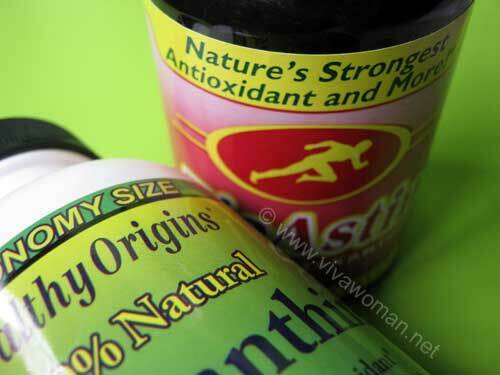 Okay, this is what I’m SO EXCITED to share today – Astaxanthin supplements! I learnt about it last October when a reader by the nick of Destiny mentioned the beauty benefits of this supplement in one of her comments. In fact, she has been taking it regularly together with her husband and she noticed their eyesight actually improved within weeks! Since reading her comment, I began to research materials on this and once I’ve established that this supplement can provide sun protection, I immediately latched on to a spree at iHerb and ordered two brands (Healthy Origins and BioAstin), which I later discovered, were also recommended by Destiny. Yes, I’m just overwhelmingly passionate about anything that can protect my skin from the sun! I was so amazed when I read the customer reviews of these supplements and was even more inspired when I learned that some of them managed to stay out under the sun for long periods of time just taking Astaxanthin, and not getting burned even without using a sunscreen! And some customers even mentioned that their pigmentation were subsiding after taking this supplement. So how can I pass this on??? All right, there are plenty of research materials out there about Astaxanthin so I’m not going to bore you by putting them here. I’ll just make some quick introductions and point you to those relevant resources. Astaxanthin is a derivative of the microalgae Haematoccous pluvialis – the part that gives salmon and flamingos that eat the algae their orange or pink coloring. It is produced when the algae’s water supply dries up, forcing it to protect itself from lack of nutrition and/or intense sunlight. Now, what’s interesting to know is that a growing body of scientific literature and epidermal analysis determined that the quantity of Astaxanthin was 133 times that of lycopene and 28 times that of beta-carotene! So there are plenty of benefits to be derived from taking Astaxanthin but I’ll just touch on the benefits to our skin here. Initial animal studies in Japan had discovered that by ingesting Astaxanthin, mice could stay under UV radiation longer without getting burned or experiencing deleterious damage to their skin. The Journal of Dermatological Science published a study in 2002 finding Astaxanthin is able to protect against alterations in human DNA induced by UVA light exposure. And Cyanotech, the company that produces BioAstin from microalgae, tested it on human volunteers and found that taking 4 mg per day for just two weeks statistically increased the amount of time the subjects could stay in the sun without getting burned. Many users of Astaxanthin supplements reported that they are able to spend significantly more time out in the sun without burning than they were able to before. This is due to the powerful anti-inflammatory properties that Astaxanthin has. Hence, this also means that as an antioxidant, Astaxanthin scavenges the free radicals in the skin surface which ultimately helps reduce moisture loss and keeps skin smooth. 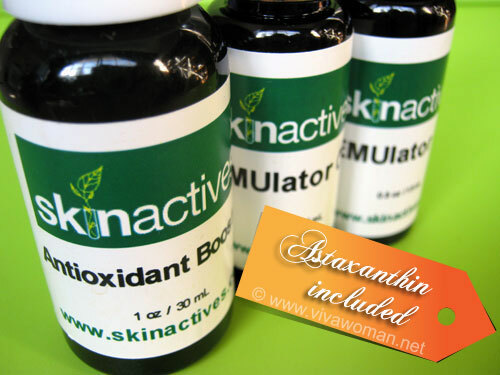 So this supplement can effectively help to reverse external signs of aging from the inside out. But do note that taking this as a suppplement will not eliminate the risk of sunburn in everyone, but it can radically reduce your risk of developing severe sunburn and related skin damage. Plus, it will take some weeks for the dose to build up to achieve UV protection, and to help improve your skin’s overall moisture balance and elasticity. I’ve completed my first bottle of Astaxanthin supplement consisting of 150 capsules, each containing 4mg. I have to say I wasn’t too impressed initially because I did not see much of a difference to my skin. However, I did notice a change in my energy level and my joints for the better. I also did an experiment using my hubby as the guinea pig, by making him take this prior to his outdoor exercises. I noticed that while he returned tanned, but there were no visible signs of sunburn. So I suppose it does provide some levels of protection and I persisted with the supplement myself, taking two capsules daily. And after around two months now, I noticed my skin is looking better. I still have my pigmented spots but I noticed some of them are lightened although I have to qualify that I’m not sure if this can be completely attributed to Astaxanthin as I’m also using topical products. But I’m pretty happy to continue taking this supplement because one, it gives me peace of mind when I’m out under the sun, and two, it’s cheap! A bottle cost me something like S$30? That’s like half the price of Heliocare! Anyway, I’m just so thrilled by all the research materials on Astaxanthin that I’ve even gone on to order topical products containing the ingredient! Heheh! So yes, read all about my experience using Astaxanthin topically – coming right up real soon. Update: I have stopped taking astaxanthin for awhile but it is only recently that I found that synthetic astaxanthin supplements are being sold in the United States and these are downright dangerous to human health. Carotenoids: oral & topical use of beta-carotenes 5 Super Berries I Eat To Boost My Internal SPF Topical Astaxanthin for younger and fairer skin Have you done an audit for your sunscreen lately? Where did you purchase your Astaxanthin? From iHerb.com. I think it’s also available at Vitacost and other sites. The Healthy Origins one is cheaper but it has a fishy smell (pretty similar to fish oil). The BioAstin one has no scent and is slightly more expensive. I will share my review / opinion with you about it. Can’t wait! Oh…that’s a pity but I breakout taking flaxseed oil and recently fish oil too so probably this might not work for certain people for similar reasons. How much do you take each time? Hmmm, I’ll probably get this once my pycnogenol supps run out. Have too much supplements I can put up a mini drugstore, lol. I took Pycnogencol many years ago and didn’t notice any difference but I suppose the effects are less telling when one is younger. If I order online, are they able to deliver to singapore? Will there be any problems clearing customs? Thanks! Yes, they ship to Singapore. I know they accept credit cards and I don’t suppose there are any problems since many of the sprees went through well. However, I haven’t ordered personally from iHerb to know of any possible complications. I’ve seen BioAstin available for sale in Singapore (online) but it cost more. Well, if you were ordering just 1 to 2 bottles of health food, stick to a spree. If ordering direct, try to avoid International Airmail ‘cos I’ve had a package lost before. Getting Iherb to refund you could be a hassle though it went well for me. 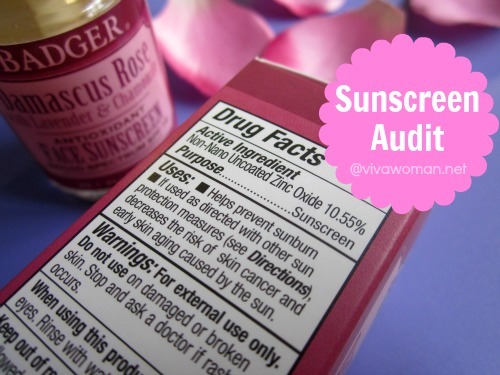 as I use a topical sunscreen – physical rather than chemical – I do not know about the sunblocking properties. I do not notice any improvement in vision. I can speak to the relief it gives from joint pain. My husband has shoulder pains, I do as well, and my knees bother me to varying degrees. We recently ran out for one week, and noticed how much this does relieve joint pain. We stocked up again, and pay anywhere from $23 to $29 US for 120 capsules. I’m also waiting to see if it helps with my vision but I haven’t noticed a change. I guess it depends on individual but I read some many positive testimonies on that front I’m rather hopeful. The price range you mentioned is about what I pay – converts to around $30 in our local currency. Hi Sesame, awesome info! Are you able to tell me if you can still get tanned if taking this supplement? Yes, still get tanned. As mentioned, I got my husband to experiment taking this prior to his outdoor exercise and he emerged tanned but not burned. No sunscreen was used but he took 3, which is 12mg. However, I think he wasn’t consuming this supplement daily so the effects were less desirable than what I’ve expected. Based on the studies, you got to take continually for 2 weeks before the UV resistance sets in. Thanks for the info! I just placed my order though iHerb. When do you take these? Mornings or nights? Can’t wait for my order to be delivered! It is recommended you take 4mg to 12mg per day so I opted for 8mg, which means I take two capsules. I was taking one in the morning and one in the evening but now, I just take two in the morning after breakfast since I want it more for sun protection. Dr. Perricone also recommends astaxanthin to reduce hyperpigmentation. I also agree that joint pain relief is a major reason why I take astaxanthin! Suzy Cohen+Astaxanthin. She is a pharmacist who is a big fan of astaxanthin. She says it helps any condition with “itis” on the end…arthritis, tendonitis, bursitis, etc. Hmm, sounds like a good way to replace Heliocare. Yes, cheaper! But one thing I found is the Heliocare’s protection seems to be more immediate and you can take one or two prior to exposure to the sun…no need to build up. I had scored out all pharmacies near by when I read about Astaxanthin almost 2 years back!!! I couldn’t find. Should check out again especially if it improves eye sight. I don’t see it at pharmacies here either…the closest is probably krill oil. I think it’s only available in Hawaii/US and unless a distributor brings in to a country. Thanks so much for this post. So interesting, I will order some today!! And I thought I would just share with you a great website that I use to buy my vitamins from. I live in Switzerland and here I do not find that many and new vitamins and what there is is so expensive. This website called vitacost.com from US has everything you can think of, many excellent brands, good prices, and what is great for me they ship internationally and the shiping cost is really low. And they have several types of Astaxanthin. Oh yes, Vitacost is one that comes highly recommended and I believe their pricing is better than iHerb. The only reason I don’t purchase from that site is because all the sprees I tag do the shopping at iHerb. hi i’m also keen to try d spree for astaxanthin. Could u email d spree’s organiser? I’m interested in the iHerb spree for astaxanthin too. Can I get the email too? Thank you! Hi Sesame, which spree do you use for iherb? I am also thinking of sourcing some astaxanthin from iherb, but a bit scared to buy direct without PayPal. Can you share the spree that you always get your iherb from? Thank you..and oh..happy chinese new year! Happy new year to you! Actually I spree with various. I will send you an email about the organizers. I just bought a bottle of Astaxanthin here in Singapore – Vitakids at United Sq. S$40 for 60 softgels. How much mg does it contain per capsule – 4 or 8? I see…if you don’t mind ordering from iHerb, you’ll notice there’s a bit of savings. Can I also know where to get BioAstin in Singapore? I think they sell it at Vitakids (Paragon, Forum Galleria)…if I’m not wrong. I just ordered a bottle of BioAstin Astaxanthin (60 gel capsules) and Devita Solar Protective Moisturizer spf 30 plus. The flat shipping rate has gone up! It is US$12.99 now instead of $6.99. Feel the pinch in ordering especially when I’m not holding a full-time job yet. Cross my fingers that Astaxanthin helps with my eyesight and sun protection. I do wonder if it will work on me since I’m fairly young – 24 years old. Oh the shipping fee has gone up? Geez…but I’m still ordering via spree cos they don’t accept PayPal. Hope the Astaxanthin works for you. I think the sun protection works but you need to take it for some weeks and be consistent in the consumption. Would just like to check if anyone takes astaxanthin when they are sick (i.e. having a cold or fever)? I tried googling information on this, but nothing relevant came up. If anybody knows, please advise. I took some astaxanthin this morning when I didn’t realize I had a fever. My fever has gone down just now, but I’m still wondering about taking astaxanthin when you are ill. I think it’s ok given that it is an antioxidant. I actually continued to take astaxanthin when I was ill once…I felt okay. But if you’re not comfortable, you can avoid it when you’re not well. Iâ€™m interested to try d spree for astaxanthin. Could u email d spreeâ€™s organiser? After looking at brand after brand I just decided that oral sunscreen might be an option but from all I red on your site and other ones there seems to be no real proof they are working. Almost everyone uses them in addition to their sunscreen (which makes it hard to tell a diff.) and they are really expensive so as a student I do not just wanna buy and try. It seems that also astaxanthin – although it sounds quiet convincing – cannot really (!) proof that it is working as a possible substitute – or do they even wanna be that? Are there any sunscreens not containing those ingredients or should I just rely on food consumption? I am not comfortable with some i.e. Vitamin E supplements since esp. Vitamin E you can overdose. And one never knows if supplements are actually working. I will look into the food area but lets be honest – its not even near to a real sunscreen. Thank you so much for all those provided information. Take lots of vitamin C (food source). That’ll also help. Well I looked at more brands today but I guess for now I give up on it. I will try to keep up on the food side and avoid harsh sun. But no hats, no no 😉 And I will have another look into oral supplements just so I get at least a bit more protection.. which one would you recommend more. Heliocare or Astaxanthin? I’ll recommend Astaxanthin but you’ll need to be consistent in taking and it’ll take 2 to 3 weeks before protection sets in. Sesame, you showed 2 different bottles here. Do you take them together or separately? or did you get both to try the difference? I’m totally ignorant about this so just want to check before I go ahead to purchase them 🙂 Thanks! Oh yes, I bought them to try…eventually I went with the BioAstin one (yellow bottle) and I’m still taking that one. I thought of trying this supplements. I am just wondering whether you are still taking this and any further updates after taking.. Does it cause breakouts? Yes, taking 2 daily. No breakouts for me. I am interested in the spree to order Astaxanthin from iherb, could u email the organizerâ€™s contact to me? Appreciate it. Thanks so much. Oh that’s alarming. I read the reviews mostly from iHerb and also a reader whom I trust. Personally I think using it topically has more effects on the skin than the supplements. I’ll google the reviews at Wisegeek to read. Thanks for the heads up! just apply argan oil for your skin..take astaxanthin orally +argan oil = amazing result..!! I agree about argan oil. 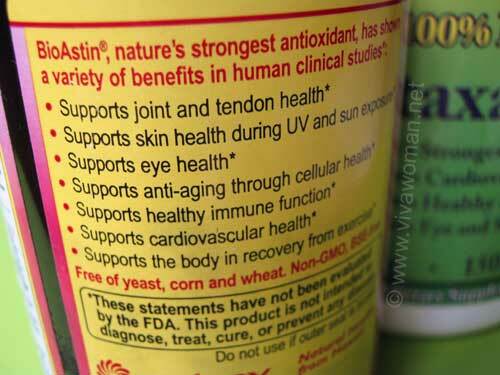 As for Astaxanthin, I actually see more results in topical application. I was going to try it topically but its really orange my plan was to mix a capsule with some coconut or olive oil. How or what do you use? 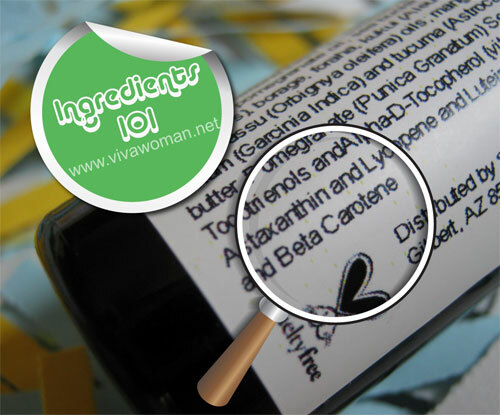 I added it to a carrier oil but yes, it’s very orange even when you add just a bit. Thank you Sesame for the information! Are there any new findings that you’ve found about effectiveness of application topically or orally? No I haven’t. But I prefer it applied topically over ingesting orally. There are some theories about it disrupting hormones and I can’t be sure so have steered clear for now. 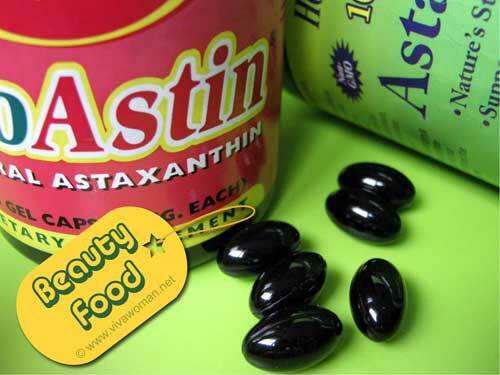 The great thing about astaxanthin is that it might also prevent cancer.